My great nieces were murdered almost fourteen years ago. Their murderer entered a plea of guilty, by reason of insanity. This plea meant we all had to face the murderer in court and sit through two weeks of testimony, not to determine the murderer’s guilt, but the sanity level of that person. Fortunately, the murderer’s attempts to manipulate psychiatrists into believing the deaths came as a result of momentary insanity failed, and the jury returned a verdict of guilty of first degree murder, no chance for parole. They deliberated for many hours, while my family and I paced the hallways of the courthouse. When we stepped back into the courtroom, my nephew–the father of the girls–shook from the tension, the grief, the fear of what might come. When the verdict was read, his knees buckled, and my brother and I grabbed him on either side to hold him upright. I’ve listened to the trial peripherally because everything said about the insanity plea, the excuses, the reasons, and now the verdict brought back the horror of that time. This morning I hear everyone talking about “justice” and the peace the verdict will bring. Navy SEAL Chris Kyle is gone, never to return. What is justice for that? 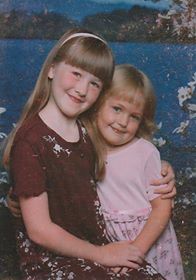 My great nieces, Candice and Kimberly, died at ages ten and five, respectively. They remained dead after the verdict. There was no justice, no relief, no peace. In our case, the verdict came with the knowledge that the person who murdered Candice and Kimberly was a cold-hearted “insane” person who gave birth to them, raised them for a few years, and then decided they shouldn’t live any longer, while she stood living and breathing trying to cover up what she’d done. Yes, their murderer was their mother, a woman who was once a part of our family. The only justice would be if Candice and Kimberly were here with us so we could celebrate birthdays, graduations, weddings, and life. That sadly will never happen. Today my heart goes to the family of Chris Kyle. To them I say, the grief will remain, but the memories of good times will prevail and time will ease the intensity of the pain and the grief that comes from the loss of a loved one. I’m a writer, but this story is one I do not want to write. This morning the emotions and memories of that time spent in a courtroom in Grand Haven, Michigan, came flooding back, and I know in my heart the peace and justice that others seeks will not come from the jury doing the right thing. 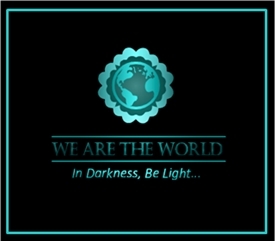 It will come from within, and forgiveness, as difficult as it may come, will help fight the anger and frustration. Hug those close to you. Create memories each and every day. And don’t let a day go by where you don’t tell those closest to you that you love them. 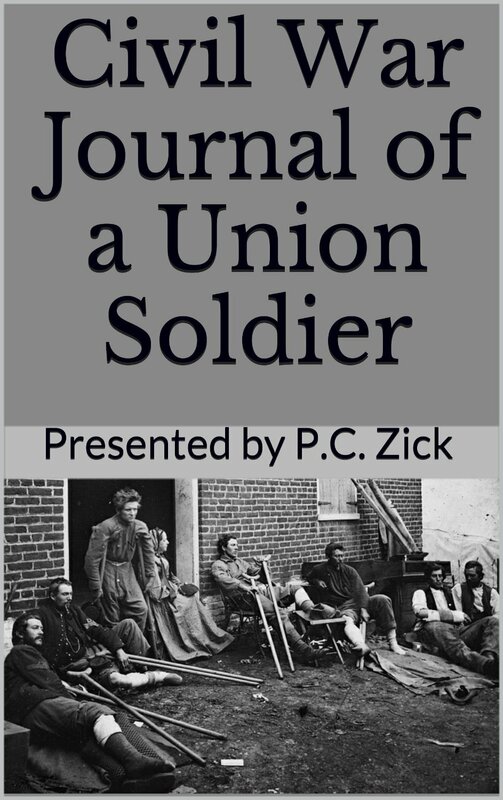 This week I’m offering the eBook of Civil War Journal of a Union Soldier at a 50% discount off the regular $5.99 price. 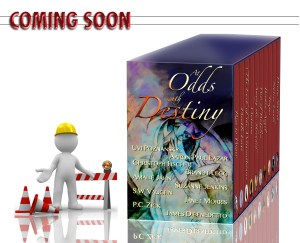 All you need to do is to click here: Smashwords and click to buy. On the next screen put in this coupon code: EP57P. The price will be adjusted accordingly. My great grandfather wrote this memoir for his children, one of whom was my grandfather. Publishing the book as both a paperback and eBook represents a labor of love to my ancestors and to those who fight our wars. At the earnest solicitation of my children for stories of my past life, I promised to write in my leisure moments some incidents for their perusal, as I could not always respond at their desire with an interesting story. Memory, aided by a brief diary that I kept during my service in the army, are all the sources I have to draw from. While I shall endeavor to be strictly truthful, I must of necessity speak of things from a personal standpoint, or as I saw them. And the impressions will be those made upon me by passing events. If what I write meets the eye of others than those for whom they are intended, I have only this to say: It was only written for my children. And if I confer upon them as much pleasure as I shall take in gratifying them, I shall feel amply repaid. Usually by this time of year, hubby happily starts a multitude of seedlings and places them under grow lights in anticipation of planting time. It’s different this year. He’s planted a few seedlings–onions, greens–but nothing like in years past because this year our house and, of course, our garden are for sale. We don’t know if we’ll be here in the spring. We certainly hope we’re not here in the summer. He couldn’t help himself though. 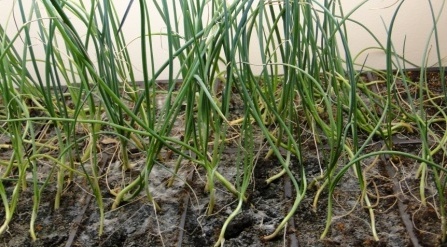 When I asked him why he started the onion seedlings, he said he wanted to plant them, so the new owners would be able to enjoy them in the summer. I’ve joked that we should sell him with the house. Not that I want to leave my sweetie behind, but he could maintain the garden and share half of the produce with the new owners. After all, after five seasons of living here, he has the soil just where he wants it. Besides, it would make finding our new smaller digs easier. Try finding flat and sunny plots of land in western Pennsylvania. It’s not an easy task. In fact, it’s one reason we bought this house much too large for two people. But we have a wonderful side yard–flat and sunny. The seed catalogs arrive daily now, and I’m proud that he’s showing restraint. The magazines arrive, but so far no subsequent delivery of seed packets. Unless, he’s shipping to his work address. I added a few recipes to my guide on gardening, From Seed to Table, and gave the book a face lift for spring. Here’s one of my favorites for a cold winter night. 1 butternut squash, roasted – cut into several pieces (seeded). Dribble olive oil and maple syrup over the top. Roast in 350 oven until done. Roasting times vary by squash, but it usually takes from 45 minutes to an hour. Heat oil and butter in large pot. Add onion, ginger, and celery and cook until onions and celery are soft. Add the rest of the ingredients (except the cream) and cook together for 15 minutes, until flavors are well blended. In a food processor or blender, puree until smooth. Return to heat and stir in cream, if using. Heat thoroughly, but do not bring to boil. Serve hot. As the holidays loomed, I pulled together my three Florida novels into one box set. Now that we’re cozy in front of fires and hibernating a bit here in the north, here’s a chance to go to Florida for free. For the next three days (February 4, 5, 6), my Florida Fiction Series box set is available for free Kindle downloads on Amazon. I hope you’ll take advantage of this opportunity to read these three books. Each one of them represents a period in my life where creating an alternate world of fiction seemed the logical course. It also gave me the opportunity to express my great love of a place I’d lived for thirty years. 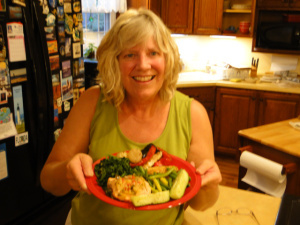 Tortoise Stew grew from the rancor and chaos of covering local politics as a reporter. When Walmart wanted to disrupt the community in one small municipality, politicians, developers, and environmentalists created one hell of a stew. All parties involved often acted as violent children more bent on hearing their own voices than dealing with the issues at hand. I often sat in these excruciatingly long meetings typing dialogue into my laptop for use in the novel. Trails in the Sand emerged from the horror of the BP oil spill in 2010 when I worked with the Florida Fish and Wildlife Conservation Commission. The efforts to save sea turtle hatchlings from oil in their habitat parallels the lives of one family bent on destruction as well. Native Lands lived with me the longest of any of my published novels. It came from my life as a writer and reporter, too. I began it in 2006, and finally revamped, revised, and restructured the piece. I wanted to show how we are all connected to one another. All three novels contain elements of romance and intrigue. They touch on issues of forgiveness and redemption. They also celebrate Florida’s landscapes, wildlife, and people. Here’s a chance to find some warmth and comfort in a long and cold winter. After all, Puxatawny Phil says we’re in for another six weeks. Stay warm and let me know how your winter is faring. We’re still eating frozen vegetables from the summer, which seems far away right now.